*this post contains affiliate links. If you make a purchase, we will receive a small commission. We only share about things we use and like, so this is one worth looking into! First - Happy Birthday to Arlene! I'm so humbled to be your Mama. I hope you're having a wonderful birthday! 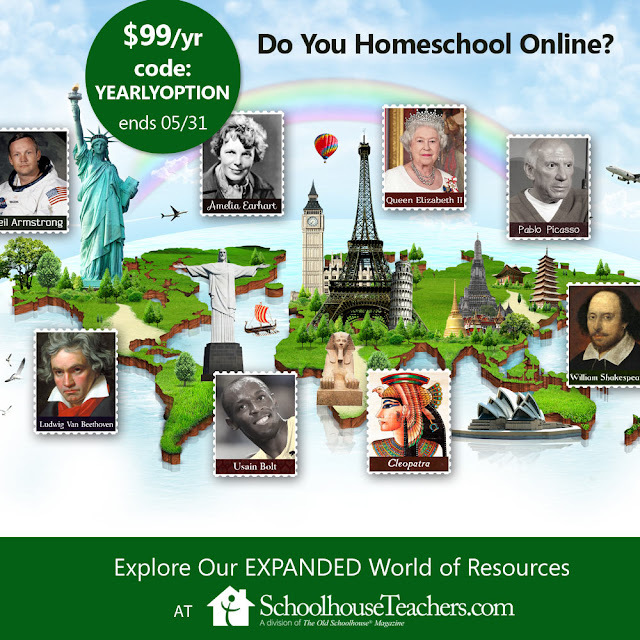 Secondly - there is only ONE WEEK left in the May special at SchoolhouseTeachers.com! It ends next Thursday night on the 31st! While you may not "do" school during the summer, this is a special worth following up on now. There are a lot of fun yet educational things on there besides just your everyday courses in math, science, and language arts. Plus- if you get your new Ultimate Annual Membership now for just $99 a year, it will stay at $99 a year for as long as you renew it. Since the regular price is $179 a year, you can see how this great sale will save you for years to come. I'd love to stay and tell you more about SchoolhouseTeachers.com, but, I promised Arlene we would go on an adventure for her birthday, so we are out having fun! If you need to know more, just click on the orange SchoolhouseTeachers.com label below and it should take you to several other posts where we have shared what we love about SchoolhouseTeachers! P.S. 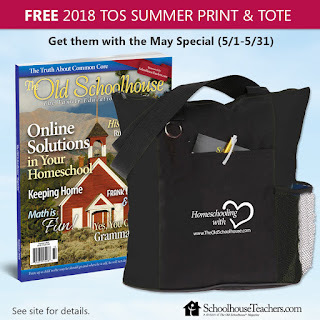 If you take advantage of the May special, you'll get a cool tote, and still have time to sign up to receive the printed Summer issue of The Old Schoolhouse delivered to your door for no additional charge! Sweet! My tote bag is going with us on our adventure today!